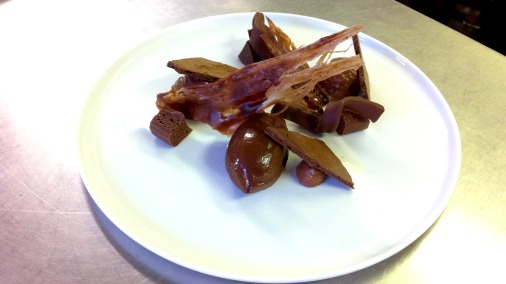 Michelin Starred Chocolate – Graham Garrett at The West House. 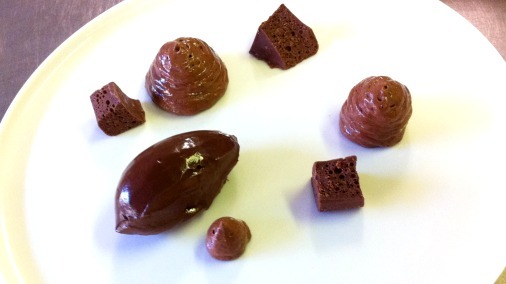 One of my occasional series on the stellar chocolate emerging from Michelin-starred kitchens. The glory of chocolate, apart from the obvious seductive and infinite variation of tastes, is how much can be done with it. I can and will play the ultimate chocolate nerd, in rapturous analysis over the true-to-bean purity of the unadorned dark bar. But equally I love all that chocolatiers are doing, marrying this richly complex ingredient with other flavours and textures. Take this one step further, bring in the patissier, and the potential number of techniques and ideas that can be brought to the table are dizzying. How many ways do I love you? Let me count the ways……… with my spoon! I am finding tremendous passion, interest and sheer indulgent pleasure, in the chocolate work being created in top restaurant kitchens. From the desserts on offer, to the petit fours, the attention to detail can be staggering. 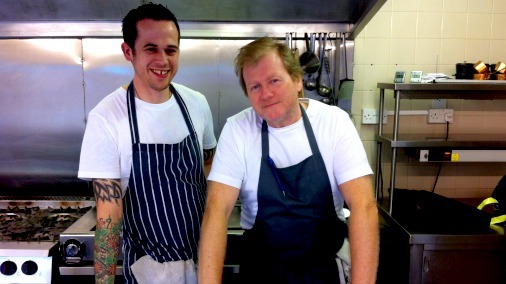 Graham Garrett, chef/patron of The West House. 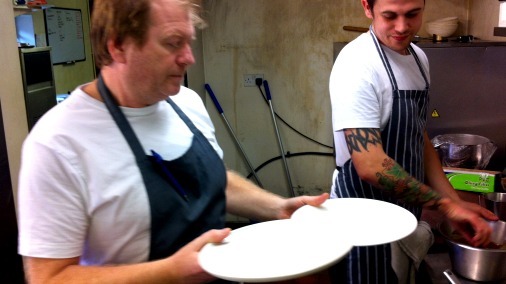 Graham Garrett is a chef whose technique, pedigree and palate mean he could fuss and flourish with the best of them. But he doesn’t. There is a purity about his work that is a joy to eat. And while not all chefs know their chocolate, it is still an ingredient whose potential is little exploited, Graham does. His instinct towards, and concern for quality among, all his ingredients leaves no stone unturned. I have had many conversations with him debating the merits of different origins and couverture and their suitability for different tasks in his kitchen. 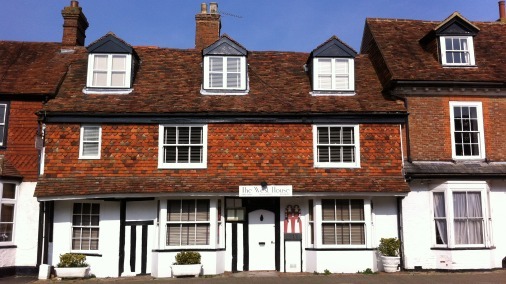 Graham Garrett’s restaurant, The West House, Biddenden, Kent. So when Graham told me he was working on a new chocolate dessert for his menu, I looked forward to investigating with a high degree of anticipation. 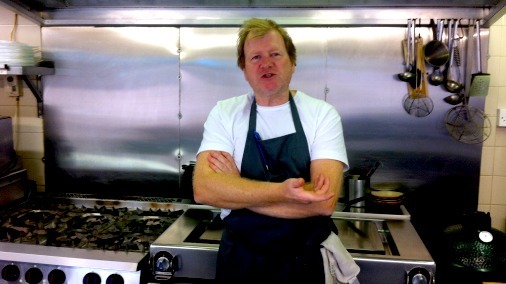 Graham has held a Michelin star at The West House, his restaurant in Biddenden, Kent, for over eleven years. It was in the kitchens there that I spent an indulgently happy morning to watch the creation of his new dish and taste the results. White porcelain or white porcelain? The serious business of choosing the right plate. 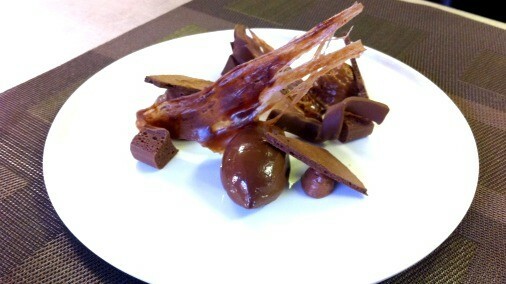 The dish is a gift for true chocolate lovers, there are no additional flavours, no pairings with fruit, nuts or booze. What Graham wanted to do reflects his excitement and interest in his unadorned ingredient. His intention has been to create a chocolate dessert that allows you to fully indulge in the heavenly brown stuff, but without the cloying richness and overload inevitable when traditional patisserie techniques full of butter, cream and too much added sweetness, come into play. 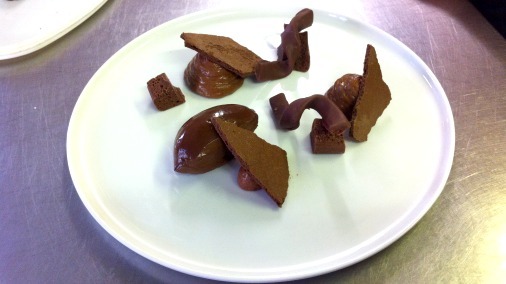 Graham’s creation uses no dairy at all, the only dairy on the plate is that already present within the milk chocolate used in two of the elements on the plate. 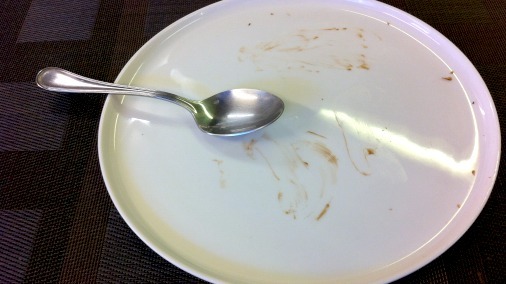 The result is really stunning, and I licked the plate clean! A glimpse of what awaits me. 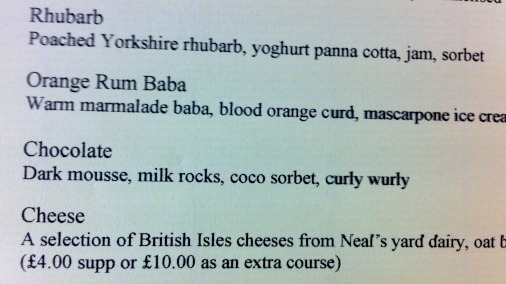 Billed on the menu as ‘Chocolate, Dark Mousse, Milk Rocks, Cocoa Sorbet, Curly Wurly’, the dessert uses four different chocolates and comprises six elements. As Graham and Ben dressed the plate I documented the build and then did a spot of deconstruction. The magic begins with a Cru Virunga 70% mousse. 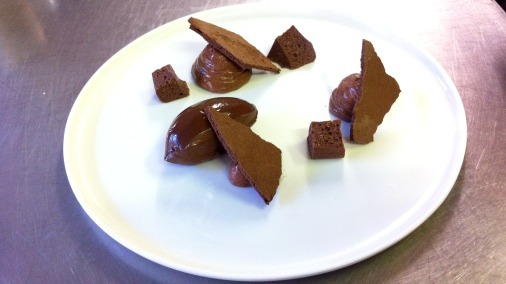 The dark chocolate mousse is made using Original Beans Cru Virunga 70% with water and egg white. It is exceptionally light and delicate, the cleanest possible delivery of this dark and smoky cacao, with a wonderfully creamy mouthfeel. 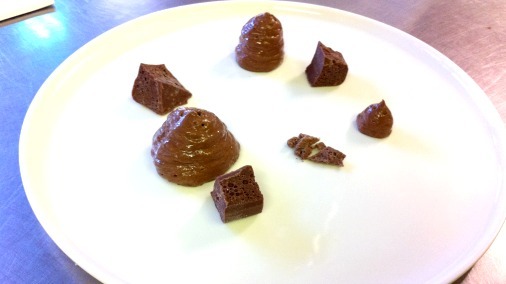 Second on the plate, aerated milk chocolate rocks. The milk chocolate rocks, made with Original Beans Esmereldas 42% milk chocolate are the richest element on the plate, and evoke nothing so much as a Wispa bar. That is if a Wispa had a Michelin-starred wand waved over it. They are made with the addition of a little olive oil, and then a high pressure cyphon gun. The resulting texture is meltingly aerated, and these chocolate chunks fully bring to life the full flavoured comfort factor of the chocolate. The chocolate sorbet is of Valrhona Guanaja 70%, with only the addition of Valrhona Extra Brut cocoa powder, sugar and water. It is the most stable ice cream or sorbet I have ever encountered. Which is worth mentioning, as it allowed me that holy grail of tasting pleasures, the possibility to go back and forth from it as I ate my way around the dish, rather than having to wolf it down first to prevent it from wetting everything else on the plate. It is not just technically special, it is a creamy, cold, not-to-sweet hit of cocoa heaven. Less complex in taste than some of the other elements, and I could have eaten a bucket of it! Shards of dehydrated mousse added to the circle of deliciousness. 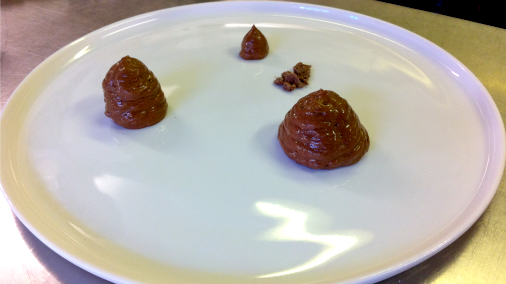 Dehydrated shards of mousse, again using the Cru Virunga, make up the fourth element. These are light and crunchy, almost honeycomb-like in texture, and the dry, slightly toasted quality brings out the sweet nuttiness of the cacao. The fifth element, curly wurlys. The curly wurly is a trip down memory lane, nostalgia at it’s best; when something has been made infinitely better than in was in the first place. We all love our sweet shop chocolate bars, and Graham has form with these, having made fantastic desserts riffing on many of them, including Toblerone and Snickers. He knows how to go back to his roots and encapsulate what was great about something and reinvent it. This twist of chocolate-coated caramel heaven is made by working Valrhona’s Caramelia 36% milk chocolate into a caramel with the addition of a little golden syrup, then coating it in the Original Beans Esmereldas milk. It had to be a milk chocolate coating or it wouldn’t be a curly wurly! A slightly out of body experience eating this had me back to my childhood, walking down the road after school munching one of the long chewy treats, while simultaneously standing in the Michelin starred kitchen tasting a clean, elegant fine chocolate. A surprising and unashamed treat, wow! Paper thin tuiles and a finished dessert. Finally, paper-thin tuiles, transparent in their brittle fragility, top the dessert like sharp flames. Made simply from Valrhona Extra Brut cocoa powder and sugar they are the most delicate element of the dish, and yet with the darkest flavour. A smoky, toasted, melt in the mouth crisp. In setting out to challenge himself to rethink his work with chocolate, and do justice to an ingredient that is getting more and more interesting, Graham Garrett has created something of great interest, and pure unadulterated pleasure. As new chocolate makers give chefs the gift of a greater and greater range of exceptional flavours to play with, chocolates that deserve to be treated in new ways, with new focus, it is gratifying and thrilling to see a chef rise so deliciously to the challenge. Thank you Graham for a great morning and a thorough treat. Graham and Ben risk a smile, job well done.